RBI has signalled that time has come for the regulator to caution banks in making the affordable small ticket home loans more expensive and thus make public mount up more money if banks do not come forward to bring in more stringent standards and remove rising bad loans in the Housing Sector. RBI also informed that it is watching the Loans segments related to those upto Rs. 2 lakh and would not hesitate to increase the loan-to-value ratio or raise the risk weight for banks if there need be. 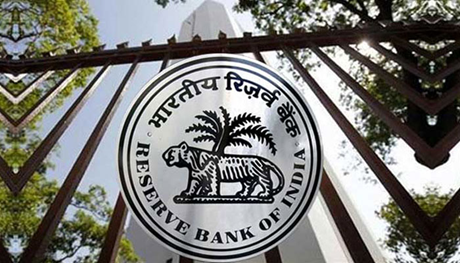 RBI further adds that the data collected reveals the NPA for tickets up to Rs 2 lakh has been high and is rising quickly which necessitates banks to improve their screening and follow up process f lending of Home Loans. RBI has decided to revise housing loan limits for priority sector lending from Rs 28 lakh to Rs 35 lakh in metropolitan centres with population of 1 million and above, and from Rs 20 lakh to Rs 25 lakh in other centres, provided the overall cost of the dwelling unit in the metropolitan centre and at other centres does not exceed Rs 45 lakh and Rs 30 lakh, respectively. Affordable housing are those extended to houses with a carpet size of up to 600 sq ft in non-metros and up to 345 sq ft in metros. A massive push by the government to increase the number of houses built and occupied under this scheme has resulted in a large number of banks and housing finance companies rushing in to provide loans.. The Pradhan Mantri Awas Yojana (PMAY) has made the affordable housing segment attractive to both borrowers and lenders by providing subsidies upfront. Increased loans have contributed for more bad loans in the recent quarters. Assets under management of housing finance companies has gone up by 24% last financial year. The overall housing loan segment is worth around Rs 16 lakh crore and 20% of this constitutes affordable housing. It is observed that most of the smaller and newer housing finance companies are those which fall under the category of of less-than- Rs 2 lakh. Out of100 housing finance companies, 15-20 are active in the low-ticket-size segment. It was seen that the last year RBI had reduced risk weight and loan-to-value, but the shot in bad loans is making the central bank take a different call at this juncture. CRISIL Report reveals that some housing finance companies focussing on the affordable housing segment have shown an above-average increase in delinquencies with gross NPA at 4-5%. Collections are affected by the weak earnings profile of homeowners in this segment. An impact of demonetisation and implementation of Goods and Services tax was observed on these people’s Incomes. This has resulted in increased delinquencies in the loan against property segment. Stress is observed in the sectors of loans to Self-employed or Cash Salaried employees.